Today was a busy day shooting daily for the Times Argus. 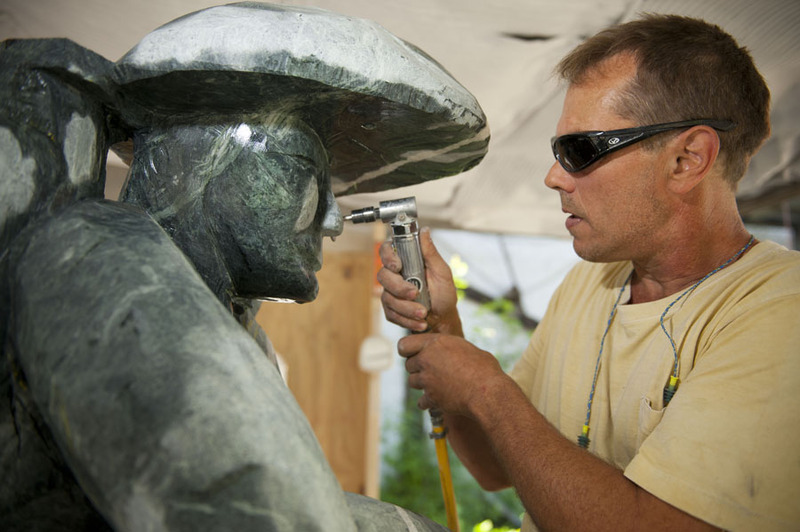 I was all over town starting with a portrait of a granite sculptor making a Green Mountain Boy out of Green Granite, I made a photo gallery at the Amazing Race, an event organized by the Basement Teen Center in Montpelier, a quick feature photo of a lemonade stand, a water main break, a Vermont Mountaineers baseball game, and ending with a night sky viewing party at the Kellogg-Hubbard Library in downtown Montpelier. 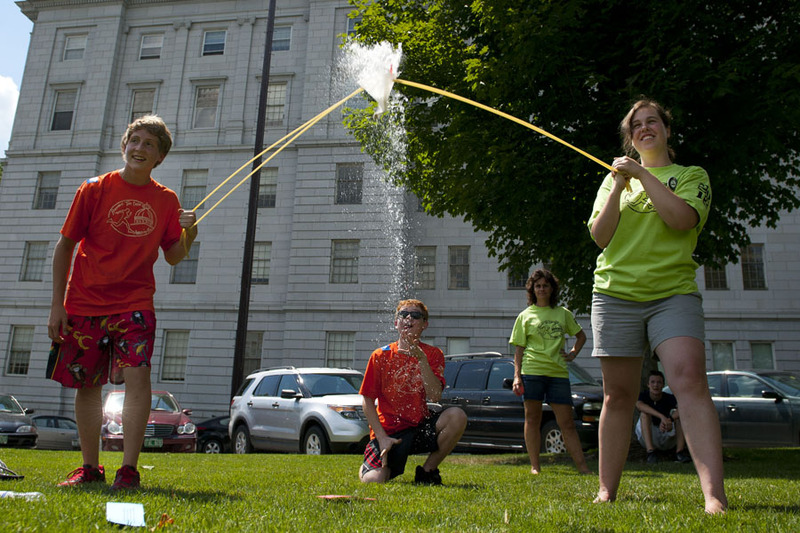 l-r Hunter Upmal holds one end of a slingshot while Basement Teen Center Amazing Race team-mate Jon Wohlt fires a water balloon (which burst in the slingshot) during one of the challenges on the state house lawn. Americorps Vista volunteer Cara Melbourne held the other side of the slingshot for the two-person teams. The teams had to get a water balloon into a kiddy pool about 100ft away in order to get the clue that would lead them to their next station. 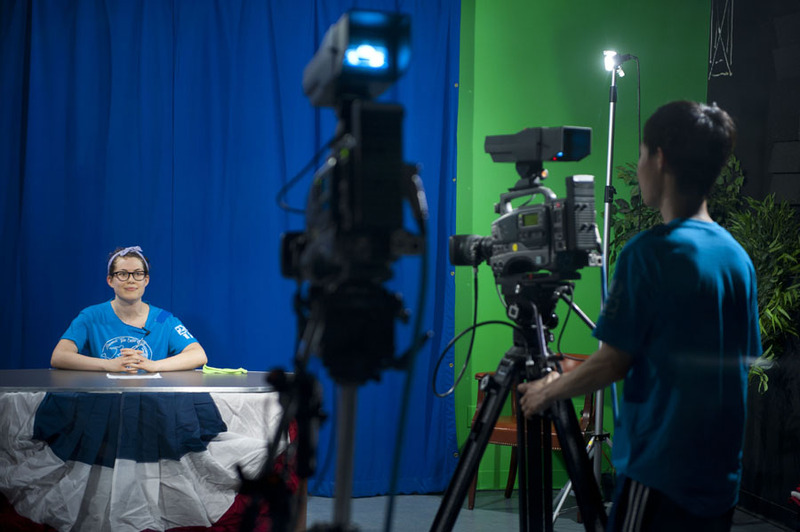 l-r Rachel Patrick and team-mate Luong Huynh give a newscast at ORCA Media in montpelier, one of the many challenges that comprised the Basement Teen Center Amazing Race. Krissy Leonard and Robyn Peirce get accessorize their getup at Buch Spieler in montpelier. 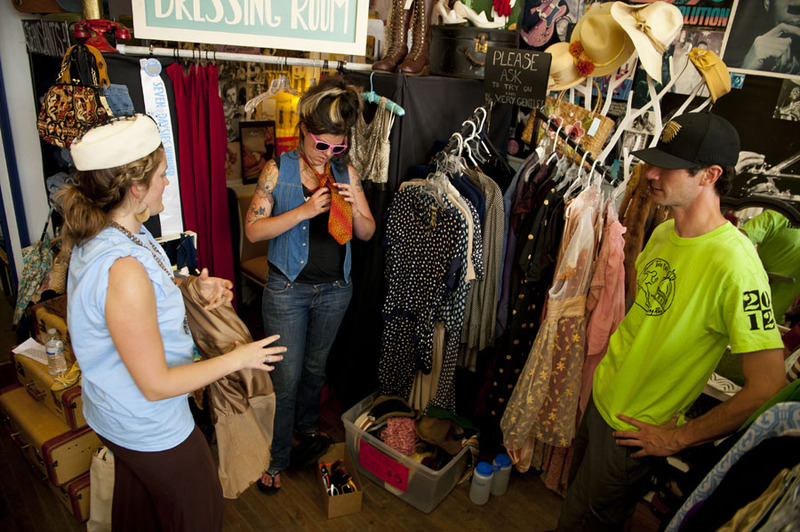 Teams had to dress up and then go out on the street advertising Buch Speiler and The Getup to three random people before returning to the store for their next clue, one of the many challenges that comprised the Basement Teen Center Amazing Race. 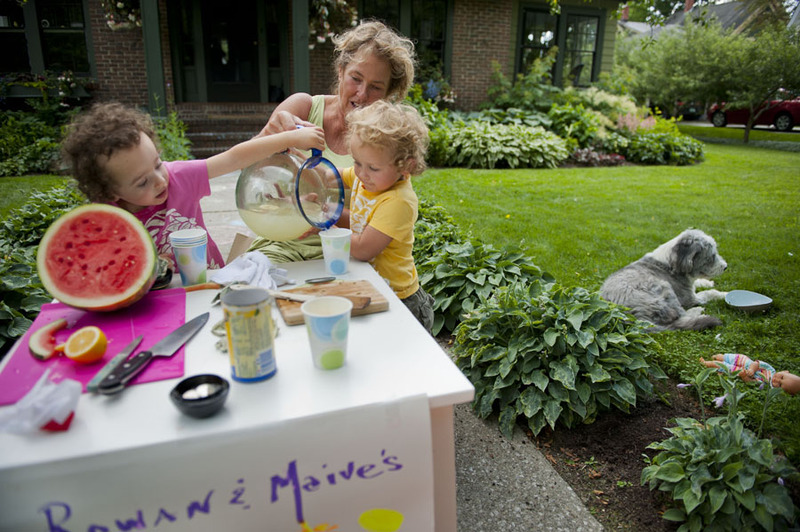 l-r Maeve Keller, 3, Grandmother DeeDee Erb, and Maeve’s twin Rowan Keller, 3, pour a glass of lemonade at their lemonade stand on Summer Street in Montpelier. 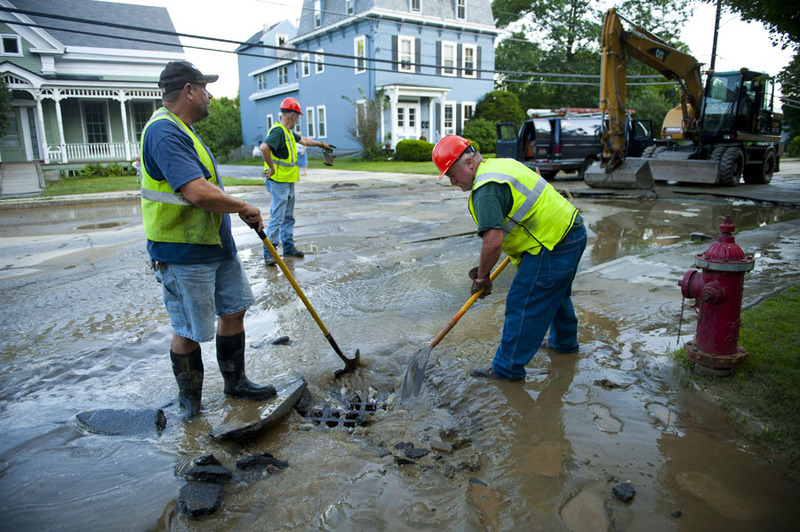 l-r Vito Naikus of the water department, along with Les Smith and Pete Luce from the Streets Department work to clean up the mess left behind when a water main broke at 4:56 on Elm street at the intersection with Winter St. taking half of the road with it. 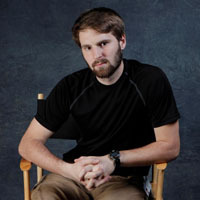 According to Naikus, The incident was a shining example of collaboration between the two departments and the montpelier police who quickly worked to re-direct traffic. 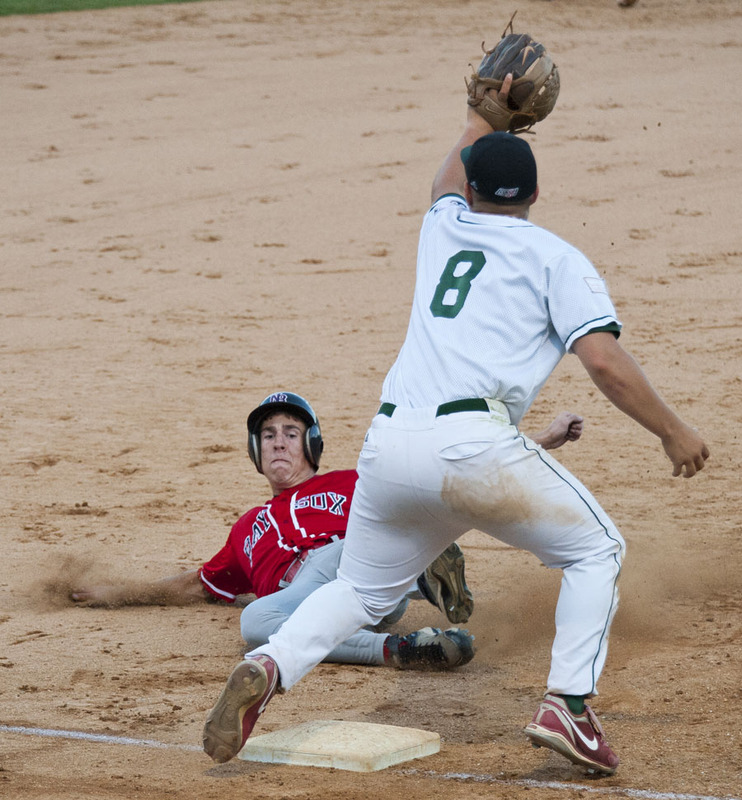 Alex Witkus of the New Bedford Ray Sox slides into third ahead of the throw to Casey Brighton of the Vermont Mountaineers in the sixth inning. Witkus went on to score on a two-run double hit by Zach Stone of the Ray Sox. At the end of the sixth the Ray Sox lead the Mountaineers 7-0. 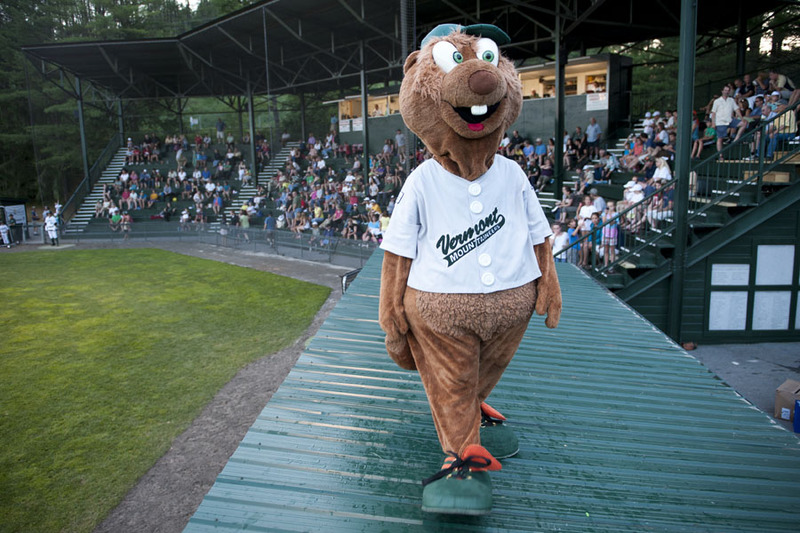 Skip, the woodchuck mascot for the Vermont Mountaineers. 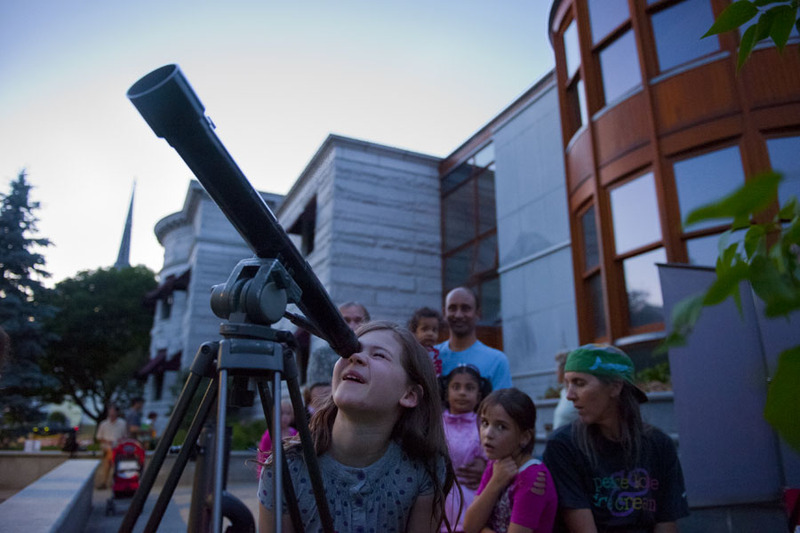 Linnea Colwell, 7, looks at the moon through a refracting telescope at the Kellogg-Hubbard library in Montpelier on Friday night. Bobby Farlice-Rubio, Science Educator at the Fairbanks Museum hosted the Night Sky Telescope Party in conjunction with the children’s library offering families a chance to learn about space’s wonders.